HM Plant Honda Racing (who's principal sponsor is local Hebburn based HM Plant Ltd) will be at BikeWise 2009 with John McGuinness, Steve Plater, Steve Brogan,Josh Brookes,Glen Richards & team Manager Havier Beltran. 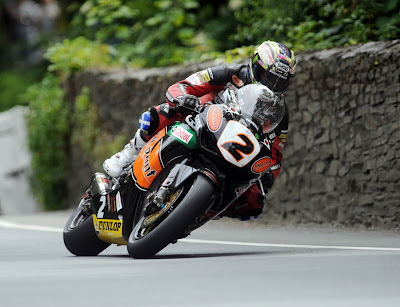 They will be selling raffle tickets, (only at BikeWise on Sunday 16th August),for "The Ride of Your Life" - buy a ticket to win a high speed three lap pillion ride with John McGuinness around Croft Racing Circuit on Saturday 12 September. Tickets are just £10.00 each and include two entrance passes to the circuit on the day of the prize, which is also the practice day for the British Superbike Championship. The wining ticket will be drawn by John McGuinness at the end of the day. Please note that should there be adverse weather conditions at Croft the prize will be rescheduled. All monies will be donated to the HM Plant Honda sidecar riders Nick Crowe and Mark Cox who were severely injured during this year's Isle of Man TT.